Spatial Awareness: Togruta can sense their surroundings through a kind of passive echolocation. If unable to see, a Togruta character can attempt a Moderate Search skill check. Success allows the Togruta to ignore any penalties for being blind and act normally. Stealth: The Togruta are natural predators and so are skilled stalkers. 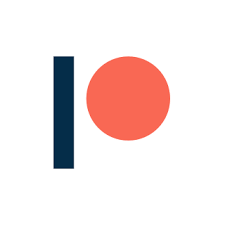 This provides them with a +2 pip bonus to Hide skill checks (not added above). These are the known powers Ahsoka Tano possessed and it is believed that she had access to other powers. 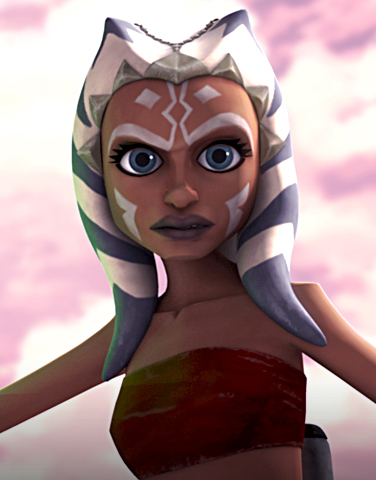 Character Bio - Ahsoka Tano was a Togruta Jedi Padawan during the Clone Wars who was assigned to Jedi Knight Anakin Skywalker by Jedi Master Yoda, and showed an eagerness to prove herself worthy to be his apprentice. Tano was involved in the defeat of the Separatist army on Christophsis and survived a brief encounter with Dark Jedi Asajj Ventress during the Battle of Teth. Indeed, along with Skywalker, Tano was instrumental in acquiring the Galactic Republic safe passage through Hutt space, due to her part in rescuing the son of Jabba Desilijic Tiure, which ensured an alliance between the Republic and the Hutts. Along with her Master, Tano participated in a mission to rescue Master Plo Koon and his forces during the Battle of Bothawui. Later, Ahsoka did battle with the feared General Grievous, and was involved in an engagement in the Kaliida Nebula. Ahsoka Tano was discovered by Master Plo Koon at a young age during a mission on Shili and was raised in the Jedi Temple. She was promoted to Padawan earlier than normal by Master Yoda in hopes that it would teach Anakin Skywalker a greater sense of responsibility. Ahsoka usually followed most situations in a more orthodox fashion than that of her Master. The Jedi High Council hoped that as Ahsoka became more independent, her Master would learn to let go of his problematic sense of attachment. Then they sent the Padawan to Christophsis to join Anakin, hoping to aid him in the current battle and pass on a message. Though it was presumed she was going to be Obi-Wan Kenobi's Padawan, she revealed that she was assigned to Skywalker. 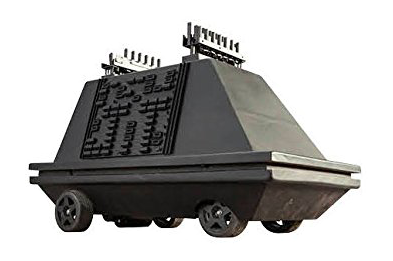 Unfortunately, CIS General Whorm Loathsom had activated the deflector shield and had his droid armies advance behind it, negating the use of artillery. Master and Padawan then tried to figure out how to get inside the shield and destroy the generator. They hid beneath a box and waited till the droids passed before they carefully sneaked in. But they accidentally bumped into a droideka. Ahsoka was intent on fighting, but Anakin insisted on running. He then told her to stop, allowing them to slash the rolling droid as it passed them. When they reached the generator, Ahsoka accidentally tripped a number of sensors, alerting Retail droids to their presence. Anakin distracted the droids while Ahsoka planted the charges. But she kept alerting more droids and seeing her master outnumbered, tried to help by bringing down a wall with a convenient hole to crush the droids but save her master. They then blew-up the generator, enabling artillery to finish off the droid legions. Though they were as different to one another as a Master and apprentice could be, Anakin, and Ahsoka quickly found a common ground, which left Yoda wondering whether the responsibility of mentoring a Padawan would actually calm Anakin's wild ways, or if he'd simply pass them on to his new charge. After Christophsis, Master and Padawan were dispatched to find and rescue Jabba the Hutt's kidnapped son Rotta, whom scouts located on the planet Teth. The success of their mission was vital to completing negotiations with the gangster for trade routes in the Outer Rim Territories. En route, Ahsoka gave the troops an "enhanced" version of how she and Skywalker had won the battle. Upon arriving at Teth, it proved impossible to land at the monastery, which forced them to land at the base of the mesa. The only way to reach the monastery was by scaling the vertical cliff walls. Master and apprentice treated it like a race and began their climb to the top. Ahsoka got aboard an AT-TE, defending it from dwarf spider droid fire when its gunner was shot. STAPs nearly caused the AT-TE to lose grip and likely would have succeeded had Anakin not commandeered one of the STAPs to destroy the others. Once at the top, she used the AT-TE cannon to save her master from three droidekas. After securing the Monastery, they discovered a protocol droid named 4A-7 who informed them the Huttlet was being held in the dungeons. After dispatching a few battle droids, they found Rotta whom she nicknamed "Stinky". Unfortunately, while trying to load the Huttlet into a pack, a recording of their actions was taken by 4A-7, who was actually the servant of Asajj Ventress. Ventress transmitted the recording to Count Dooku to convince Jabba that the Jedi had been the ones who kidnapped Rotta. With an army of droids sent to "retrieve" the Huttlet, the Jedi had to find an alternate way off the planet, as the Huttlet was sick. When the gunship sent to retrieve them was shot down, they spotted another landing platform. Ahsoka had a brief duel with Ventress before her master picked her up on the back of a Can-cell, followed by Artoo. They discovered a ship, with 4A-7 at the foot of the ramp. When battle droids descended from the ship, it became obvious to Ahsoka that 4A-7 was a spy and she decapitated the droid. They commandeered the ship and attempted to land on the Spirit of the Republic but its hangar was destroyed before they could land. With no other options left to them, they traveled to Tatooine directly in the old freighter. 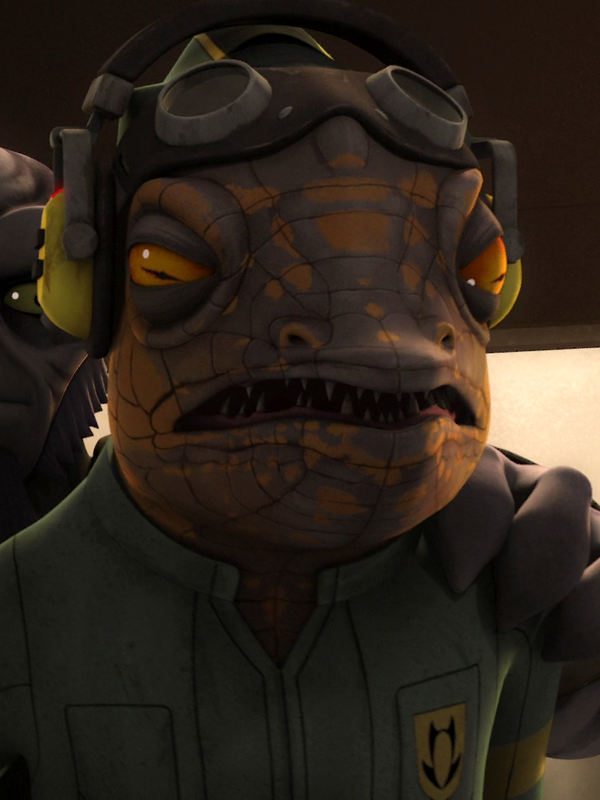 While in transit, Ahsoka was able to treat Rotta with medicine on board the ship, saving his life. 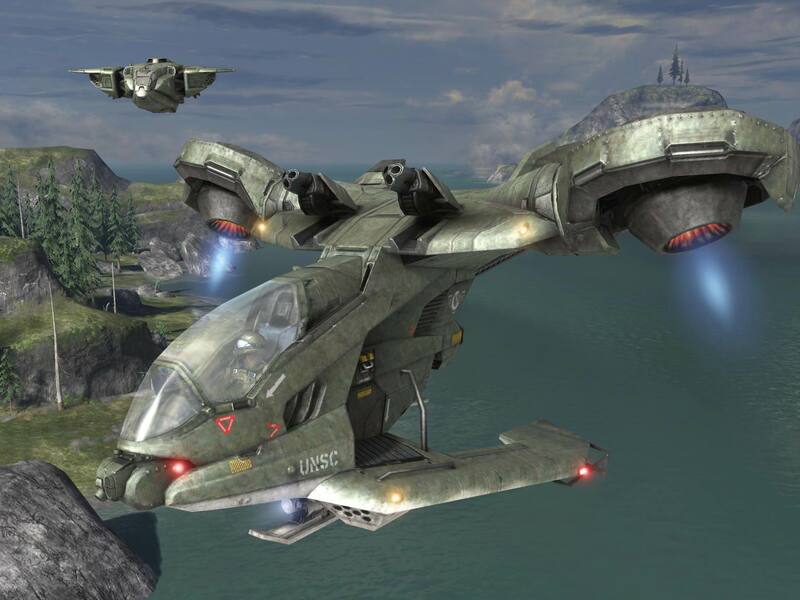 The Twilight arrived at Anakin's homeworld, Tatooine, but they were shot down by MagnaGuards. Fortunately, they survived the crash and made their way across the Dune Sea to Jabba's Palace. Ahsoka wished to know more of her master's life on the planet but he refused to talk about it. One the way, however, both Ahsoka and Skywalker sensed a trap. Ahsoka separated from her master, taking the Huttlet with her. As Anakin faced Count Dooku, Ahsoka was forced to contend with three MagnaGuards single-handedly. Though it was difficult, she was able to defeat them and deliver Rotta to his father before Jabba, believing the Jedi had kidnapped him, could have Anakin executed. Jabba believed the Jedi were still using him however and ordered them killed. Luckily, at the last moment, Senator Padm? Amidala of Naboo appeared via hologram with testimony that Jabba's uncle, Ziro, was responsible for Rotta's kidnapping. Once the truth was made known, Jabba promised the Republic safe passage through his territory in the Outer Rim. Ahsoka and Anakin were then picked up by Obi-Wan Kenobi and Yoda. Later, Ahsoka would come face to face with General Grievous while alone on Skytop Station. There, the young Togruta found herself in trouble as the cyborg general grabbed hold of her neck, though she managed to escape. She would also lead a squadron as Blue Leader later in the war. Should remove reffering to her as Aayla Secura under Force powers, and I doubt ahsoka wears Twi'lek Jedi robes either. Ok so I don't watch the show much so I might be overlooking something but why does sweet little Ahsoka have injure/kill as a fore power? She was feeling mean that day ? ?